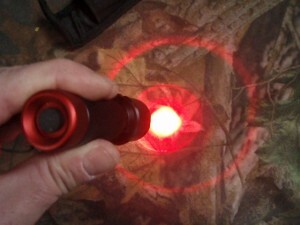 The Noxx Red Dagger red LED flashlight is my favorite hand-held scanning light for predator calling. The 5 watt red Cree LED beam adjusts from a wide flood setting down to a bright spot beam and its compact size, only 4.25″, lets you carry it right in your pocket or in the included belt mount carrying case. Don’t be fooled by its small size, the Noxx Red Dagger throws a lot of light for its size. The Red Dagger is powered by (3) AAA batteries which eliminates the need for special rechargeable batteries. Made from high grade aluminum alloy, the Red Dagger is a tough little light and is very well built. Like its sister the Noxx Xplorer Headlamp, the Red Dagger features an aspherical lens and is a great, compact, powerful light for predator hunting or wildlife calling. 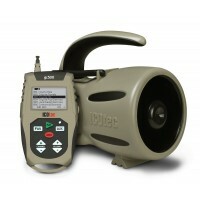 While you could use this light for a shooting light or gun mounted light, I prefer to use it as a scanning light. The ability to adjust the beam from wide flood to bright spot makes it perfect for picking up incoming eyes in any calling stand or cover situation. The Noxx Red Dagger LED Flashlight retails for $49.99 and is available from the manufacturer’s website and a few other online retailers. 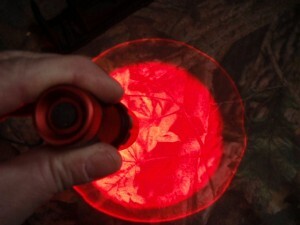 The Noxx Red Dagger is my favorite handheld scanning light for predator calling. 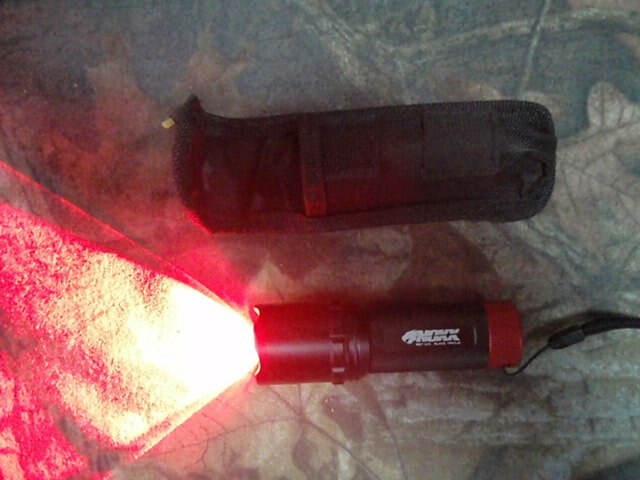 Along with the Red LED Noxx Xplorer Headlamp, these two lights by Noxx make a great pair of predator calling lights. 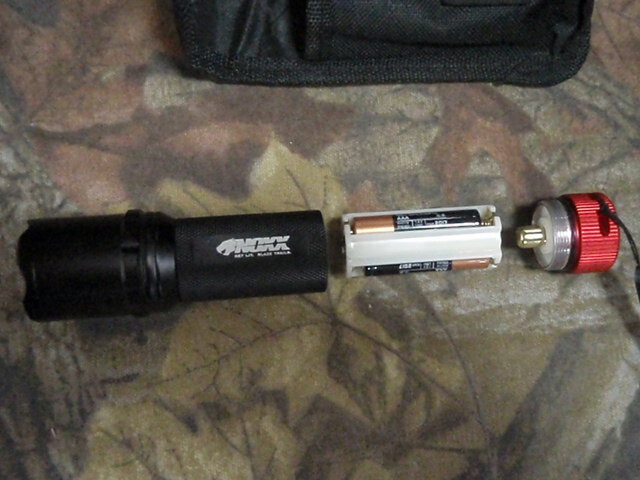 great light had it for about 3 yrs.get lite blaze trails this is what the light does.have no problem indentifying animal for a kill shot.